Happy Monday! I hope you all had a great weekend. I wanted to pop by and tell you about some great new techy things I learned about during St. Louis Fashion Week! First up is Canopi. We all know Google Reader is dying (le sigh...) and this lovely site is popping up just in time! Canopi takes the work out of finding great blogs so you can get to discovering, reading and sharing the content you love. Think of it as Spotify, but for blogs. You create "blog lists" and can share your lists with other people. So say you are very good at reading fashion blogs but you're best friend has a great list of interior design blogs, you can share the lists and get inspired. Even though you don't have to be a blogger to sign up, it's great way for bloggers to get discovered. 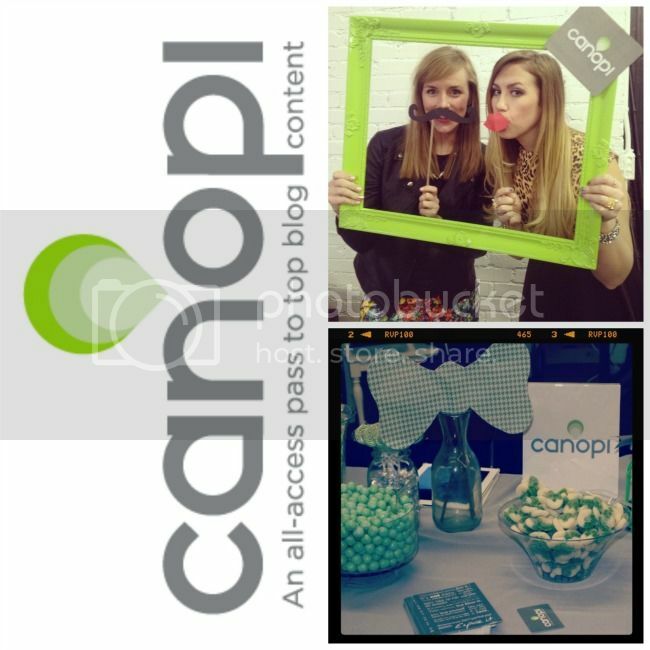 As a blogger when you sign up with Canopi your blog posts feed directly into the site allowing readers to get all the content on the single site. Also, even though it feeds all your content from your blog to their site you don't have to worry about SEO issues. On the back-end they have told Google that it is not a duplicate post (don't ask me how, it's probably pretty technical and mind blowing programming stuff that I don't understand). I encourage you to check out their website, tell your friends, make some lists and sharing! I also wanted to tell you about Bonfyre! Bonfyre is an app to create a targeted, event-based experience for users. It's an experience network targeted to the friends and events you care about so you can filter all the other social media noise associated with other platforms. 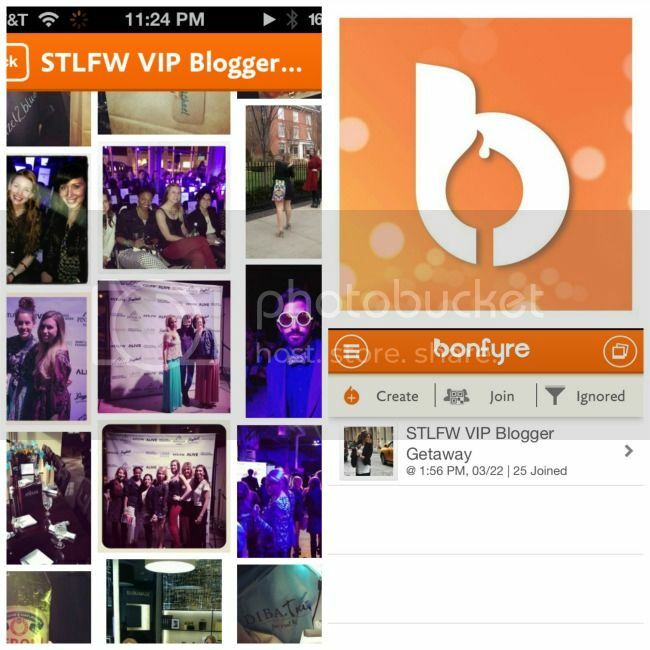 We used the Bonfyre app during the St. Louis VIP Getaway trip and it was amazing. All of the bloggers and sponsors could meet each other beforehand, share information and post pictures. Read more about the app on their website! Disclaimer: All opinions expressed are my own. I did not recieve compensation for this post. Thank you for the amazing transportation & dinner Canopi and a stellar brunch Bonfyre! I just got Canopi yesterday, and I'm already really liking it!